First impression - it’s a massive event that’s rammed with exhibitors. Second impression - some of the exhibitors must have spent a fortune on their stands (are they really making that much profit from their products). It was exhibition only this year as it is increasingly difficult to justify the £1,000+ cost of the conference. However, the mix of exhibition stands and free ½ hour seminars dispersed across the 9 “theatres” makes for just as an informative trip. Sure, we missed out on the big names like Donald Clark, Harold Jarche, Laura Overton and Will Thalheimer, but we did hear from various organisations about what they’re doing on the ground everyday in areas like gamification, virtual reality (ok, maybe not everyday), behavourial economics, mobile learning and many other topic areas. Is two days enough to get through the full expanse of the event, probably just - so if you’re putting it in the diary for next year, get yourself a plan of who you’re wanting to talk to and the seminars you're interested in listening to, but accept that it’s so busy that you will have to be flexible with your plan (and do take a pair of comfortable shoes). There’s plenty of sales messages to absorb on the day from cutting edge virtual reality solutions, to new tools and demos, whilst also more traditional solutions based on delivering effective powerpoint. However, having taken a couple of days out and reviewed the event, we're left with one overarching thought. 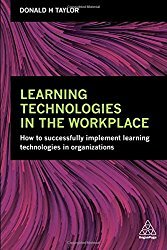 Yes, the technology is faster and more powerful (especially thinking download speeds here), but thinking back ten years, we're not so sure we’re actually delivering learning more effectively or in a more cost effective manner. Admittedly it might not be what the exhibitors want to hear, but we're wondering if people should be looking to use the tools they already have available more effectively rather than spending more money on "stuff" that isn't really that different to what we already have. Getting back to the Learning Technologies event, it’s certainly worth a visit, as there’s loads of ideas for resolving the issues face, but get a plan and be patient, it’s easy to get side tracked.